Remember these guys? 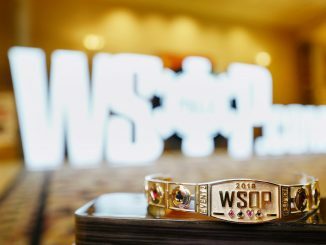 The nine remaining players in the 2012 WSOP Main Event – the so-called October Nine – will return to the Rio All-Suite Hotel and Casino for this week’s finale (October 29-30) and to decide how the remaining USD $27,258,025 will be split up. The Main Event started back on July 7, 2012 with 6598 players who created a prize pool of USD $62,031,385. Of those 6598 entrants, 6387 were men – and all the final table players are men although the 10th and 11th place finishers were both female. 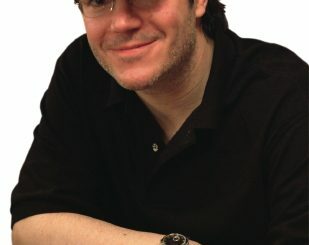 Whoever wins the 2012 World Series of Poker Main Event won’t just net the WSOP gold bracelet valued at $150,000 from famed jeweller to the stars Jason of Beverly Hills. He will also take home USD $8,531,853 and etch his name in the history books as the 2012 World Champion of Poker. Players from 83 different countries featured in the Main Event but there are only two countries still represented with eight Americans and one Hungarian. Players aged 21 to 92 years old took their seats in the 2012 WSOP Main Event. Jake Balsiger can become the youngest WSOP Main Event champion in history, while Steve Gee can become the oldest champion in 15 years. The event resumes with one hour, nine minutes, 45 seconds left in Level 34, with antes 40,000 and blinds at 150,000 and 300,000. Andras Koroknai has the button. The small blind will be in Seat 9 with Michael Esposito and Russell Thomas will be the big blind in Seat 1. On and away from the felt, Russell Thomas’ life is all about numbers. A poker enthusiast since he first picked up the game while attending Temple University, Thomas is an amateur player who works a day job crunching numbers as an actuary at Aetna Insurance. 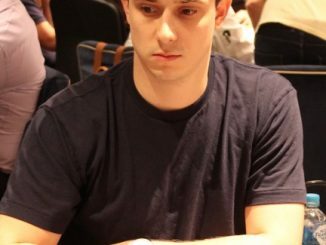 The 24 year-old Connecticut resident is currently on a leave of absence from his actuarial duties until after the final table, and depending on how he does at the final table, poker may go from a part time endeavour to a full time career. Even if he does return to work, his card-playing hobby will likely continue to be profitable. Thomas final tabled a WSOP event last year, made a deep run in the 2011 WSOP Main Event, and already has around $150,000 in live tournament earnings outside of this final table appearance. If Jake Balsiger wins the 2012 WSOP Main Event, he won’t have much time to celebrate. He’ll have to hurry back to Tempe, Arizona to get back in the classroom and prepare for finals at Arizona State University. The 21 year-old college senior would have a lot to celebrate if he managed to take the title too, as he would become the youngest Main Event Champ in WSOP history. The Political Science major could surpass Joe Cada as the youngest winner, but he will need to chip up to do so, as he starts the final table eighth in chips. Just because he is inexperienced doesn’t mean Balsiger can’t post results. He already has two WSOP cashes to his credit and a couple of years of online poker experience that helped supplement his income while he was in school. Jeremy Ausmus may be the shortest stack at the table, but when it comes to experience on the felt, he is definitely a proverbial big stack. With eight years of poker experience, the now 33 year-old poker pro already has 13 WSOP cashes to his credit, an impressive eight of which came over the course of this summer. Originally from Colorado, Ausmus resides in Las Vegas with his wife Adria and their daughter Calia. There is also another baby on the way, so Ausmus will be expecting something more than just a payday in a few weeks, as his wife is due at basically the same time as the Main Event final table. At 57, Steve Gee is the elder statesman of this year’s Main Event final table, but Gee will attest that he is going to be just as tough as his younger competitors. 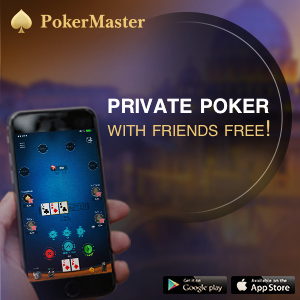 The Sacramento, California poker player left his job as a Manager of Software Project for the California Public Employees Retirement System to play poker full time, which was a decision that paid off in a WSOP gold bracelet back in 2010. Gee trumped a field of more than 3000 people to claim victory and more than $470,000. While the bracelet didn’t come until two years ago, Gee has been a part of the poker world for several decades, cutting his chops playing Lowball at the California poker room The Oaks back in the 1970s. When the final nine players reconvene in Vegas at the end of October, Greg Merson will be playing for more than just a Main Event gold bracelet. He will be playing for 2012 WSOP Player of the Year honours. Shortly before the 2012 WSOP Main Event got underway, Merson picked up one of the most coveted gold bracelets of the year, not to mention a seven-figure payday, by winning the $10,000 Six-Handed No Limit Hold’em Championship event. That win plus three other cashes and this final table gave the 24 year-old the POY lead at summer’s end. The bracelet win also gives the Maryland native the affirmation that his life was on track after struggling with addiction the past few years. Things are looking up for Merson, and a second bracelet might end his 2012 on an even higher note. At one point on day seven, 26-year-old Jesse Sylvia was down to around four million in chips and near the bottom of the chip counts. The poker pro who hails from Martha’s Vineyard and currently splits his time between Massachusetts and Las Vegas went on quite the tear as the field went from 27 to the final nine though and he will begin final table action with a chip-leading 43,875,000. Sylvia will take his seat at the final table with a mountain of chips and a friend, as he used to room with fellow October Niner Russell Thomas, who actually helped Sylvia really sharpen his game. Sylvia hopes to parlay his big stack into a big payday and continue his poker career. Sylvia wants to stay involved in the game, but he does have another aspiration – to move to Los Angeles and get involved in movie making. A 27 year-old professional poker player hailing from Texas, Rob Salaburu has been making his living off the game since shortly after graduating from high school. Thanks to a mix of online poker and cash game success on the Southern poker circuit, Salaburu is able to keep playing the game he loves. Though he is an experienced player, this is actually Salaburu’s first career WSOP cash. In previous years, he attended the Series, but played a limited amount of events opting instead for the cash game tables. While his live tournament poker experience is limited, Salaburu has plenty of skilled friends to get advice from, including British poker Stephen Chidwick, who was on hand to rail Salaburu during the late stages of the Main Event this summer. 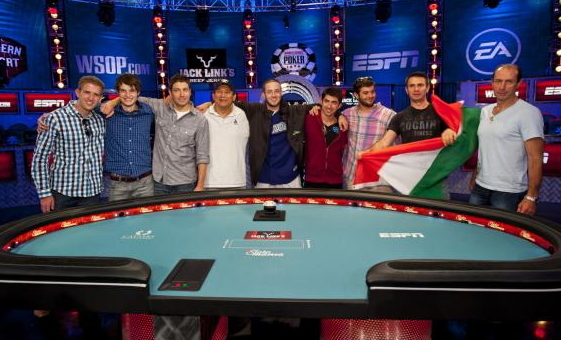 Last year’s Main Event final table was an international affair. This year, Hungarian Andras Koroknai is the only non-American at the table. Koroknai can certainly compete with his North American counterparts though. He begins the final table second in chips with almost 30 million. He is also one of the most accomplished players at the table with nearly $2 million in career earnings, including a WPT title earned at the 2010 LA Poker Classic at Commerce. The 30 year old clearly knows his poker, but one thing he will be working on before the final table is his English. The Hungarian plans to study the language more than the poker in preparation for the October Nine festivities. Though he feels the language barrier, Koroknai doesn’t think much about his status as the lone European at the table, though he does admit it would be nice to bring home the first Main Event bracelet for the small country of Hungary. If anyone understands that the WSOP Main Event is a marathon and not a sprint, it is 44 year-old Michael Esposito. The New York-based commodity broker has experience with contests of endurance, having competed in several triathlons. Esposito cites discipline as a character trait that helps in both endeavours. Clearly Esposito has a disciplined poker game. At a table populated with several professional players, Esposito is a true amateur, one who only plays poker a couple of times a year. Even though he only plays a limited amount of poker because his job and triathlon training don’t allow him to play in five and six-day long poker tournaments, Esposito does have two WSOP cashes under his belt, including a 540th place finish in the 2006 Main Event. • Profiles with thanks to wsop.com, check your program guide for dates and times of WSOP Main Event coverage on ESPN in your local market.